Mary was born and raised in Albuquerque, NM in a mountain town where she grew up playing sports including basketball and running track. She moved away to attend Whittier College in California where she played basketball and graduated with Bachelor of Kinesiology & Leisure Science. In 2009, Mary received her Doctor of Physical Therapy degree from Thomas Jefferson University in Philadelphia, PA.
Mary has been passionate about helping individuals with brain injury, and other neurologic conditions, strive toward achieving functional goals and improve quality of life. She also has been involved in the Crossfit community for nine years and enjoys helping people return from orthopedic injuries and progress back into sport and fitness. Mary’s approach to physical therapy is to address functional limitations that affect the individual’s life, with an emphasis on motor control and movement dysfunctions. This approach allows patients to focus on individual goals and address issues that will benefit them for a lifetime. Mary also trains adaptive athletes with disability participate in functional fitness training to improve overall physical mobility and stamina. Mary enjoys spending time with her husband Dan and kids Zoe & Grayson camping, hiking, going to the mountains and enjoying the beauty of Colorado. I have been treated by Dr. Mary Finck at ESP Sports Medicine. Mary addressed a vestibular caused balance issue and a chronic hamstring discomfort problem. Mary provided a series of exercises that made a measurable improvement in my everyday activity. She does a great job in providing explanation on the relationship of ones injury or disability to the reason why certain exercises can improve ones function, as opposed to just putting one through a series of therapy. Mary also worked with me on a physical and educational level that was very comfortable to respond to and understand. She provided simple tools and tasks that I can continue at home also. If I require any further care for rehabilitation issues I would return to Dr. Mary Finck. I recommend Mary Finck as a therapist. She knows her stuff. 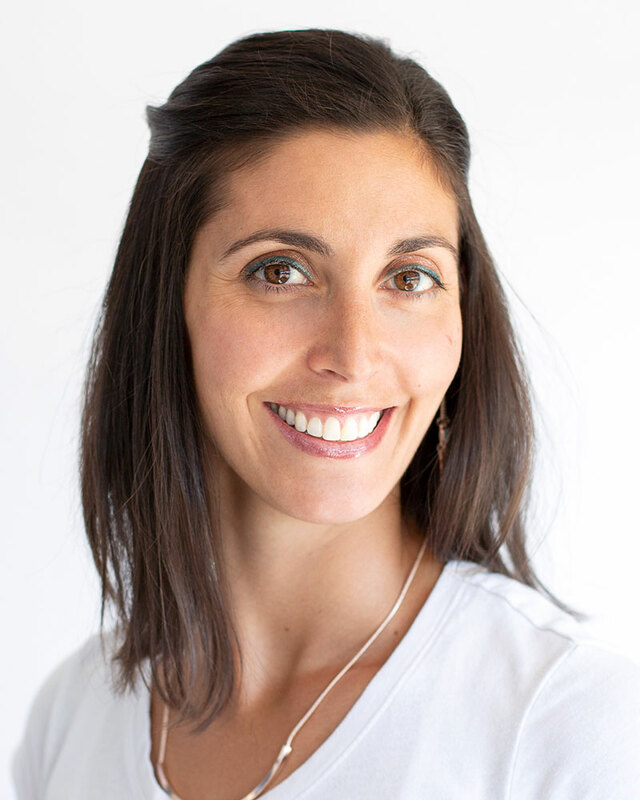 She is fun to work with and understands how to relate therapeutic movement to everyday movements. She is not only the best physical therapist I have had, she is the best therapist I’ve had, period, and as I have Parkinson’s, there have been many kinds. Mary really cares about her patients, and helps them every way she can. I highly recommend her. Having Parkinson’s is not easy as those of you that have it can attest. There are programs and exercises that can help you deal with the symptoms of this disease. I was fortunate enough to work with Dr. Mary Finck. She introduced me to the Big Exercises and ways to help with balance. Many of the things she taught are used in the Parkinson’s exercise classes I attend now. She is up to date on the latest ways to help deal with this condition. Thanks for all of the help Mary Finck. I am 11 weeks post labrum repair and cleared for all CrossFit activity. You got me moving two days after the surgery and that made a big difference in my recovery. I was first misdiagnosed by a neuropsychologist and neurologist at CU with Alzheimer’s. Between our local neurologist and Dr. Mary Finck,, they observed that my symptoms were not consistent with my initial diagnosis. I went to both Mayo Clinic and Uni. of CA San Francisco for a second opinion. Dr. Finck’s suspicions were confirmed; I ended up being diagnosed with a rare brain condition called Normal Pressure Hydrocephalus and needed brain surgery with a shunt placed. Dr. Finck is trained in neurological/brain disorders, in addition to the more normal treatments (i.e. treating my husband after rotator cuff surgery). Often, getting doctors to talk to each other is like herding cats. Dr. Finck has communicated with our family doctor, neurologist as well as the therapist at the brain recovery group and occupational therapist. She is enthusiastic and takes the time to clearly communicate with me. When I mention her name to other doctors they are aware of her and have a high opinion of Dr. Finck. My recovery has been slow due to the nature of my problem, but I am getting better and credit Dr. Finck in helping me with my balance, walking, focus, and associated pain issues. A year ago I suffered a mild traumatic brain injury (TBI) in a bike crash. Although my symptoms were never severe, there was little to no improvement for months. Among other symptoms, I couldn’t work, had trouble driving or even being in the car. I couldn’t grocery shop, read, and avoided social situations. I also had significant balance deficits. I first scheduled an appointment with Mary Finck for treatment of an ongoing hamstring issue. Running was about the only thing I was able to do, and I needed help to keep that up for my sanity. I showed up to that first appointment, and because of my TBI symptoms I couldn’t even fill out the check-in paperwork. Mary patiently went through everything with me and told me she could help with my hamstring, but more importantly, she could help me recover from the brain injury. And she has done both. Over the last several months, Mary has challenged me with therapy, and she has encouraged me to keep pushing myself. Every week I see small improvements. She has been much more than a therapist. She has seen me cry, she has made me laugh, and she has given me hope that things will continue to get better. I can’t recommend her enough. Thank you Mary!